Giving you a clue in its name, the Illusory Rug by Plantation Rugs contains a striking optical illusion making it an appealing choice for many spaces in the home. The geometric nature of the weave of this rug creates the gentle but enduring optical illusion and it has a simple, plain finish. The pattern is embedded into the design of the rug and it is the single colour used in each piece which makes the pattern so appealing. 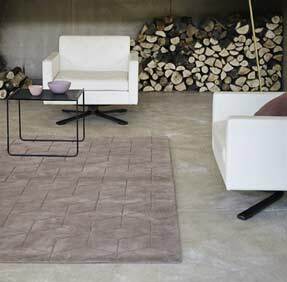 A muted yet contemporary range of colours is available, allowing you to enjoy the clever elegance of this rug anywhere in your home. It is made from high quality 100% pure wool and can be enjoyed in a choice of rectangular sizes.